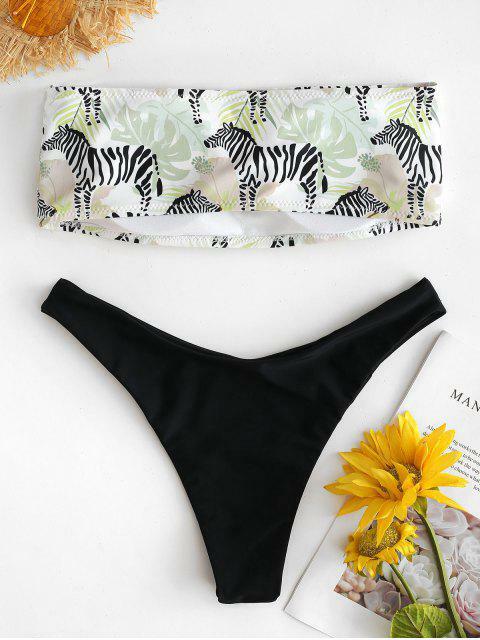 [20% OFF] 2019 Zebra High Cut Bandeau Bikini Set In MULTI | ZAFUL ..
Bought this bikini just for the bottoms. I ordered a size Medium and it fit me perfectly! Absolutely love how the bottoms fit on me and even the top looks good. True to the picture. Really good quality!